Professional Sourcing companies in China tend to have a wider “breadth” of knowledge about various industries as well as supporting industries such as logistics, Quality Control (QC), testing etc. and how all these come together to form an efficient & effective supply chain. Trading companies on the other hand may have a wider depth of knowledge about their own products or industries. A sourcing company would not normally carry its own product catalogs & price lists while a trading company would actively carry & promote their own product catalogs. A sourcing company would “source” each product based on the client’s custom requirements. However, sourcing companies often leverage existing factory relationships from previous engagements to source for new clients. A sourcing company is expected to be the representative of the client on the ground, executing their instructions and at the same at ensuring proper systems and processes are laid out to ensure a smooth transaction. These include quality control, risk-management and logistics handling depending on the scope of the scope of the sourcing company’s service. A trading company has to play a fine balancing act between managing manufacturer’s interests & clients’ interests and often would put the manufacturer interest first, as they tend to have fixed manufacturers who they procure from to supply to multiple clients and hence may have a volume advantage with those manufacturers. A sourcing company on the other head is in a position to put more pressure on a supplier or switch suppliers with greater ease if defined standards are not met as they do not have a vested interest in protecting a manufacturer and instead their interest lies in ensuring they retain their clients by helping them avoid issues with the suppliers. Whereas, when dealing with a trading company, the trader is effectively the supplier and therefore, the importer would be directly dealing with the trader to resolve disputes. In most cases, the strategic objective of a sourcing company would be to manage costs, risks & quality for a client by using their established systems and processes, experience & knowledge of the area they are operating in & their available resources on the ground for execution purposes. The strategic objective of a trading company is to maximize the sales of their product lines in order to get scale advantages when buying from their factories and hence improving earnings through expanded margins. Most sourcing companies would either have a network of companies proving a range of services that may be needed on ad-hoc basis for supporting projects or have some of these services in-house. This may include, industry specific engineers, quality control inspectors, product & packaging designers, product testing laboratories, etc. This comes along with the exposure of working with different kinds of products, industries & types of projects (for e.g. sourcing existing products, new product development, etc.). Trading companies on the other hand may have a stronger network for parts and compatible accessories related to the products they deal in. A sourcing company can provide a range of other value-added services to importers and depending on the relationship with the client may often add & customize services and pretty much act as a company’s branch office in China. This may include market research work & product recommendations from other industries where profitable opportunities may exist. This may also including building a large supplier base for existing products, as well as strategic advice and consultancy. A trader may be able to provide added services in the form of product recommendations related to existing product or industry or customizations to the current product. 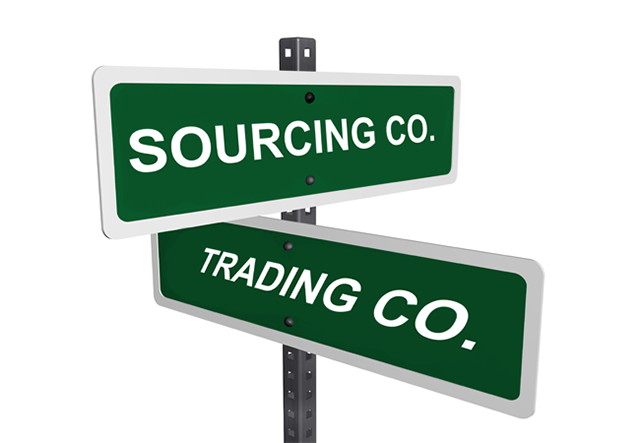 I hope the above gives some clarity into the nature of differences between a sourcing & trading company, however it is important to realize that that pretty much every point mentioned for a sourcing company above can be applied to a trading company and vice-versa. This is what blurs the line of difference and often causes confusion. This entry was posted in China Sourcing and tagged China, China Import, import, sourcing, sourcing company, trading company by Ashish Monga. Bookmark the permalink.